The gang is reunited after the winter break and have plenty to catch up on! We discuss what we did while during our time away. We talk about the Ant-Man trailer and ponder how it stacks up to the other Marvel trailers. Take a look a some lists of best comics of 2014, give you all the news coming out of Image Expo today, and give you our top picks for this week and next! With the end of the year comes several “Best Of” lists, and would we really be one of the largest comic book shops in the world without a “Best Comics of 2014” list? The clear answer is no, we wouldn’t! 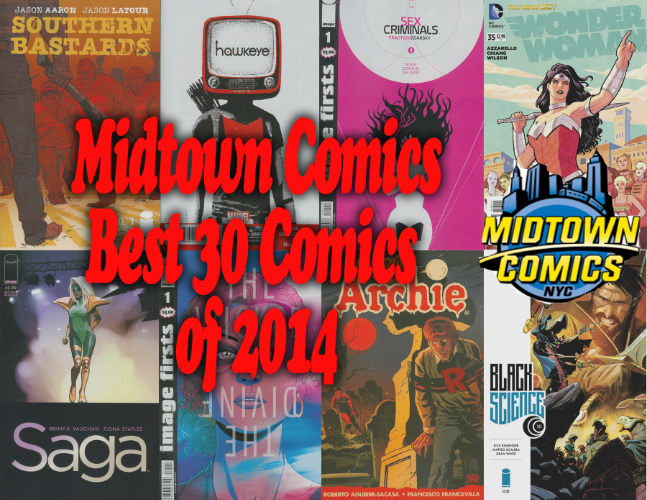 Our staff has put together a list of our 30 favorite comics, graphic novels, one-shots, and more from 2014! With everything from Saga to Transformers, you’re sure to find one of your favorites on this list! Or maybe a new favorite? Click through the links to find all of these books available on our website today! Thanks, and read our entire list of the 30 Best Comics of 2014 below!